Blood & Truth is bringing its darker narrative to PlayStation VR this May, with a newly-revealed release date. 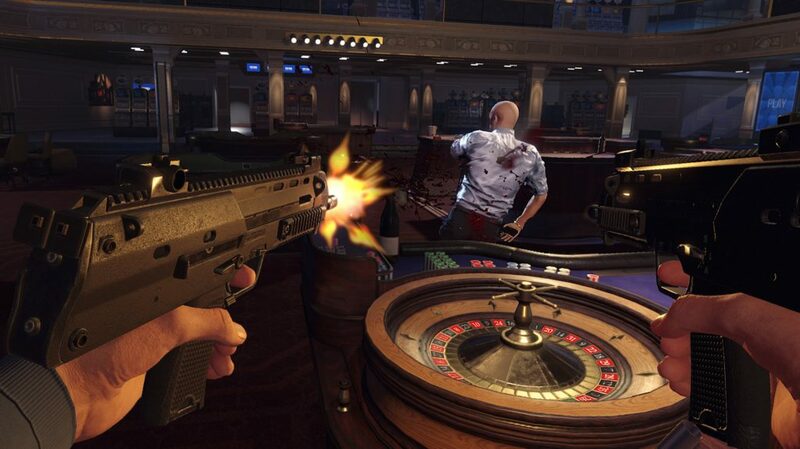 SIE London Studio's upcoming PlayStation VR adventure Blood and Truth has been dated for a May release. Sony made the announcement during the first installment of its PlayStation State of Play presentation. The game is actually an expanded narrative inspired by PlayStation VR Worlds' original The London Heist experience, and it looks like a definite push to make you feel like you're part of the action. You'll spend time exploring London as you grapple with explosive set pieces and feel the very vibration of the weapons in your hand as you reload your gun and push buttons that make you think you're really unloading a weapon on an enemy in real life. It's meant to play out more like a movie than a typical video game, so if you're into narratives with film-like adventures and gritty atmospheres like these, you'll definitely want to make some time for this intriguing VR title, which really wants to put you right in the middle of the action. You can jump into the driver's seat of your own crime story starting May 28. Be sure to stay tuned to Shacknews for additional updates and we'll keep you apprised of any additional updates. I was hoping the best mascot got a VR game.